Hi! How are you? It's been awhile since our last update! We've been quite busy seeing family and friends, settling in and unpacking boxes at our new home in Phoenix over the last month. 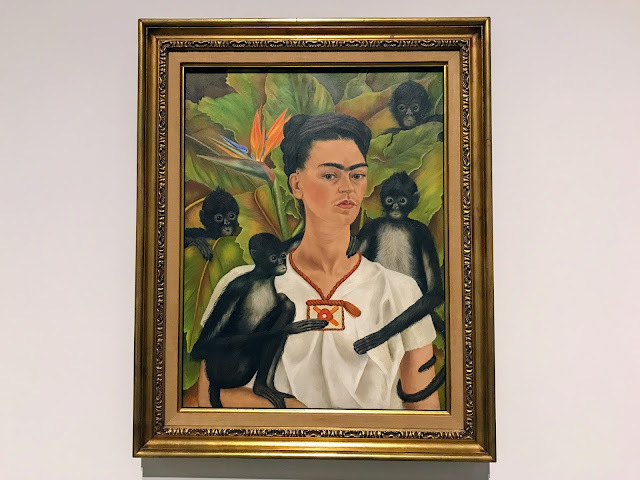 We were grateful to find some time for ourselves to relax amidst meetups and the move, and we chose to spend that time at the Frida Kahlo and Diego Rivera art exhibit at the Heard Museum this past month. 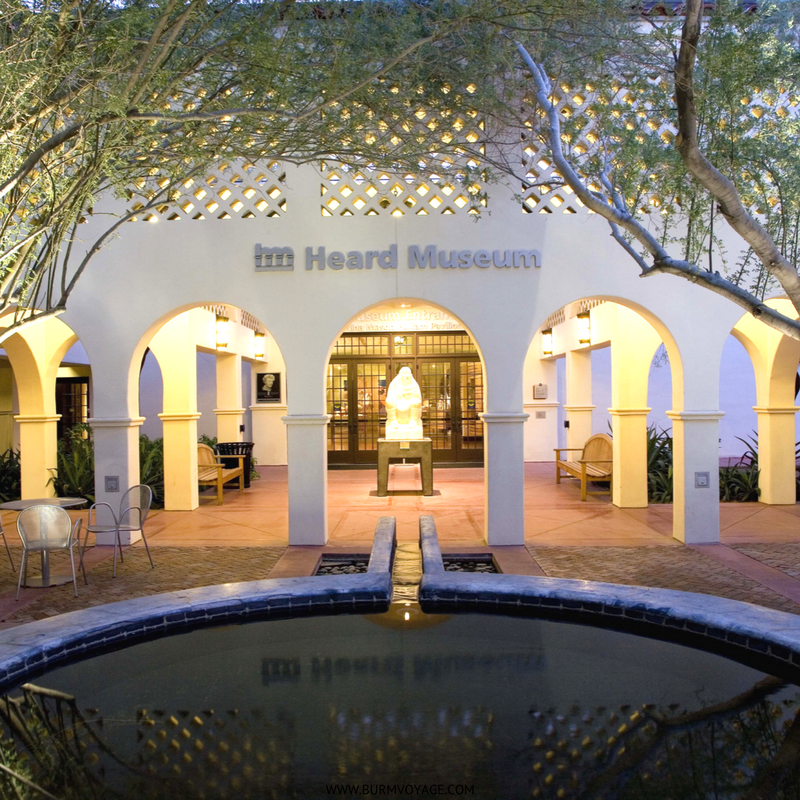 The Heard Museum was founded in 1929 by Dwight and Maie Bartlett Heard, prominent ranchers who collected a significant amount of American Indian art after they settled in the Southwest. Today, their museum features over 40,000 pieces of Native American art and objects from multiple Southwestern tribes, including the Hopi, Navajo and Zuni. We had a great time going through all the American Indian cultural exhibits at the Heard Museum, but were most thrilled to see Kahlo and Rivera's masterpieces from Mexico. We had been waiting to see their work in person for some time – Frida has long been an icon in my culture and has been my favorite artist as long as I can remember. 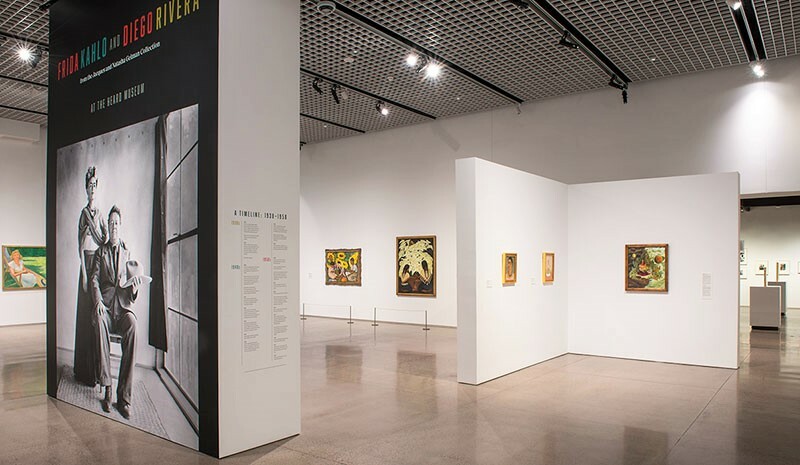 So, it felt as if the stars had aligned when our move allowed us to see the exhibit during its last weekend on display in Phoenix – the only North American stop for the gallery, which is on a global tour. The Frida and Diego exhibit at the Heard Museum was everything we had hoped it would be – nothing short of spectacular! It was incredible to see Kahlo's iconic "Self Portrait with Monkeys" and Rivera's "Sunflowers," in addition to more than 50 photographs that family and friends had taken of Kahlo throughout her life. To make the visit even more special, we had our daughter with us, who absolutely loved looking at all the vivid imagery surrounding her. We can't wait to teach her all about her culture and about Frida and Diego one day! Did you have the opportunity to see Frida and Diego's exhibit? What was your favorite piece of work? We'd love to hear all about your experience in the comments below or on my Facebook or Instagram! 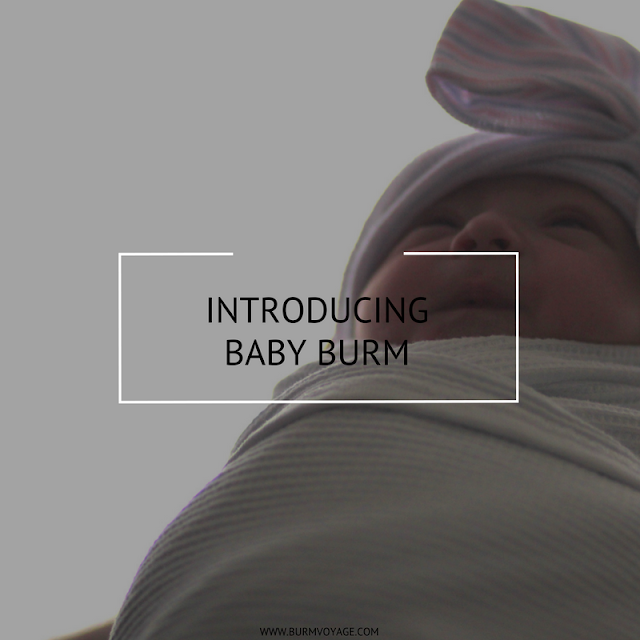 I have some exciting news to share with you all today – the Burm family is on the road to home! 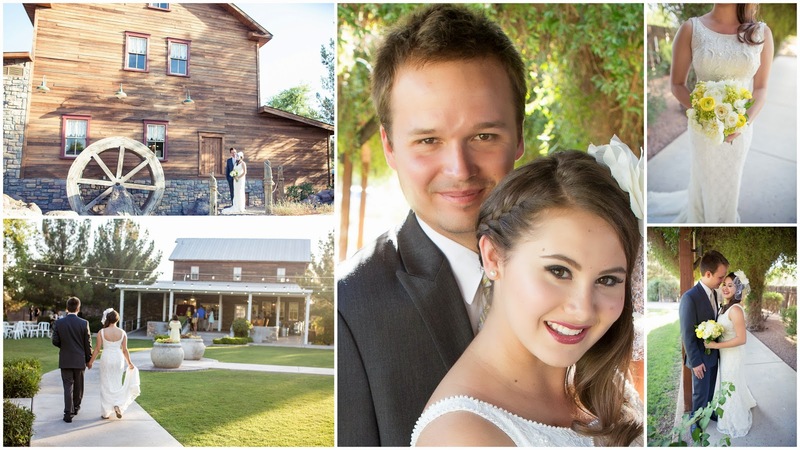 Ryan and I have spent an incredible five years moving and traveling across the U.S., but now that we've expanded our family and are raising our daughter, we've decided that it is the right time for us to go home to Phoenix. 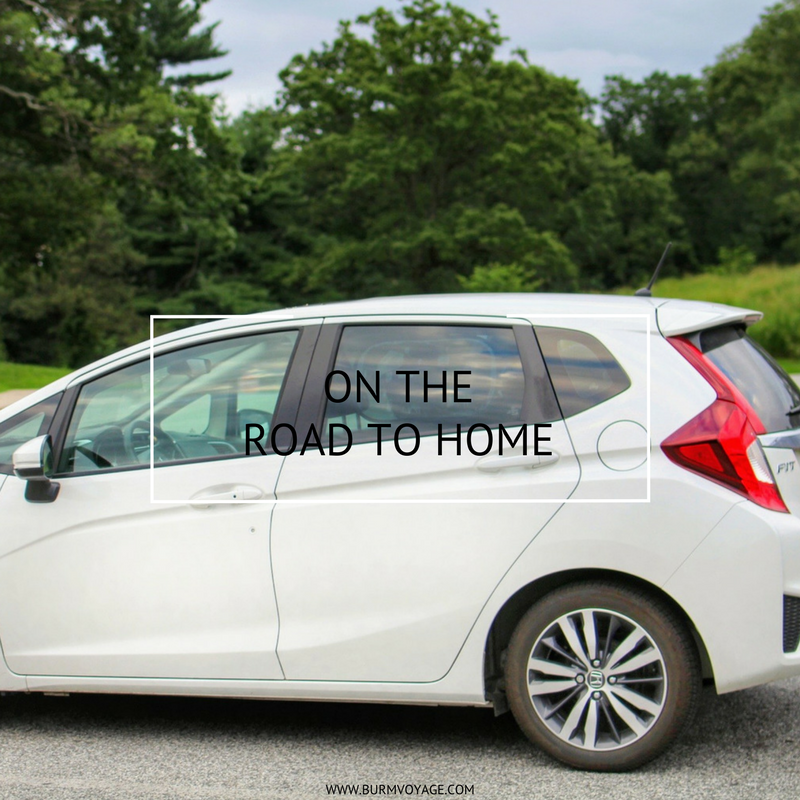 This will be our third cross-country move and although these moves are always bittersweet, this one has been especially difficult – we're leaving the city and house we brought our daughter home to, along with so many memories, family and friends. Thankfully, we have a lot to look forward to... like our new home being less than a mile away from Roselyn's grandparents and her Aunt and Uncle! We can't wait to experience the city in a new way through our daughter's eyes and are also looking forward to having her surrounded by the unconditional love and support of her family as she grows. We will be leaving the Mid-Atlantic and heading out on the road to home soon. You can follow my Instagram for more frequent updates about our travels. Recently, we had the opportunity to take part in an Open Streets event in Pittsburgh – an event that's part of an incredible initiative growing in communities across the country! Open Streets is a project in the U.S. that focuses on temporarily closing roads and streets to motor traffic, so that communities can enjoy bicycling, socializing and walking together throughout the city. The initiative currently includes hundreds of cities across the country that hold Open Street events to help their communities become "the most active, happiest and healthiest" that they can be. 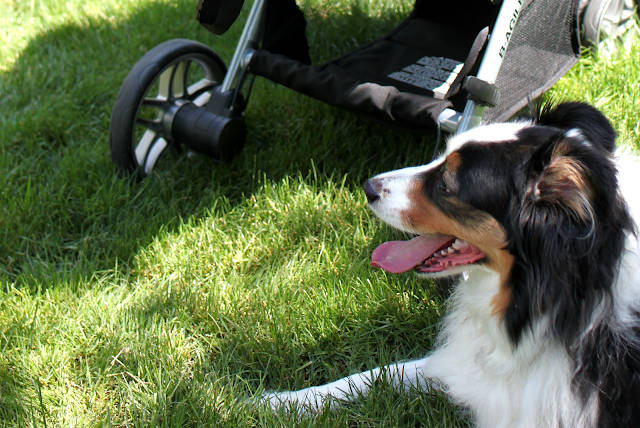 We had a great time participating in Open Streets in Pittsburgh on such a beautiful summer day – and Roselyn loved getting out in the cool air and sunshine in her Britax Stroller for the first time without her carseat! 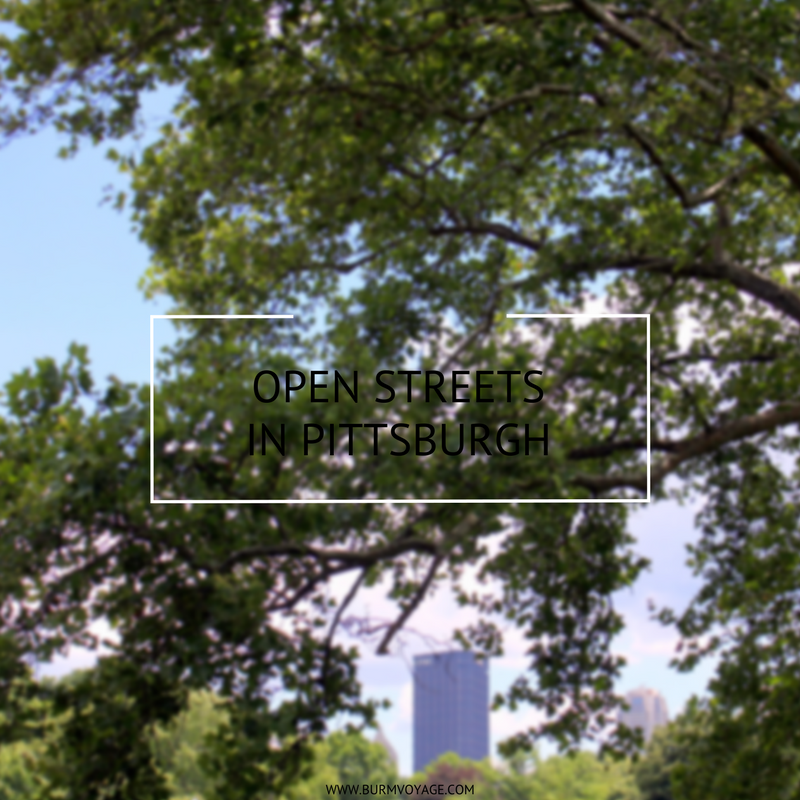 We hope to attend more Open Street days in the near future, but in the meantime you can look for an Open Street event near you by visiting the Open Streets Project map. Want to see more photos of our day to day when we're not out exploring on the weekends? Don't forget to follow us on Facebook and Instagram! I cannot believe that I am celebrating 12 years spent with my best friend and husband today! June 12 marks our 5-year wedding anniversary and the 12 years we've spent together, and I am so thankful for every minute I've had and every moment I've shared with him since 2006 – from high school sweethearts, to husband and wife and now dad and mom. 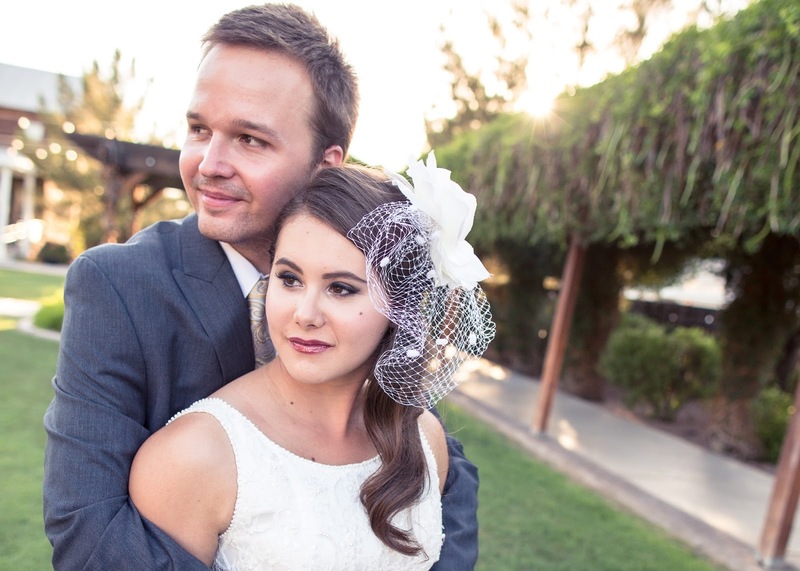 Happy Anniversary, Ryan! I love you and can't wait to see where this voyage takes us next. I've always considered fall and winter to be my favorite seasons, but ever since we had our spring baby, I've really enjoyed getting out and taking in all the beautiful sights and smells that come with this time of year. 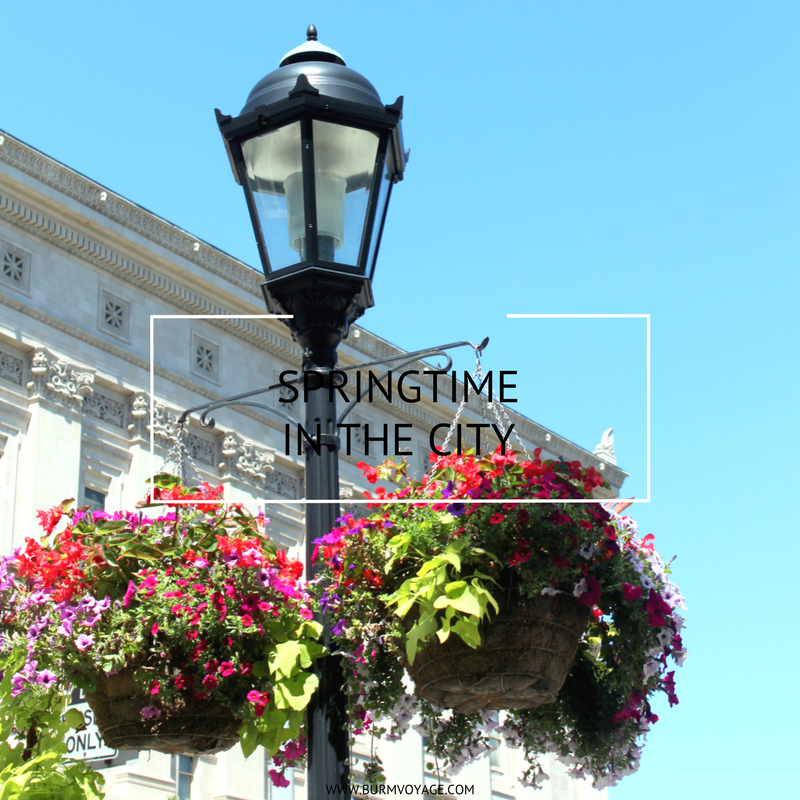 Over the past two months that Roselyn has been home with us, we've slowly been building up our time spent outdoors to really enjoy a spring day outside with her – and we finally had the opportunity to experience springtime in the city with her over a perfect 70-degree weekend! How has your springtime been? What has your season looked like? We'd love to hear your stories in the comments below, or on my Facebook or Instagram! No matter how much you've planned, prepped or researched having a baby, I now know that nothing can prepare you for motherhood or your new life loving your newborn. Our days and lives are admittedly more challenging now – between functioning on little sleep, living and working in three hour windows and searching for time to stay on top of Roselyn's cognitive and physical development. That being said, however, I wouldn't trade this new role for anything – the joy, love and strength that comes from being her mother is truly what continues to drive me each day. Motherhood isn't easy. Thankfully, when you have a community of family and friends that you can discuss parenthood with, get support from and rely on, life becomes less complicated. Shoutout to my community who answers calls and texts in the middle of the night, and doesn't mind talking about Roselyn's feeding and napping strategies at length! The days are long, but the years are short. Parenthood is all-consuming right now, but we know that our days will get easier and that we'll miss having these moments with our daughter after they've passed, so we're enjoying making memories with her and are continuing to move forward. Staying flexible is a must! 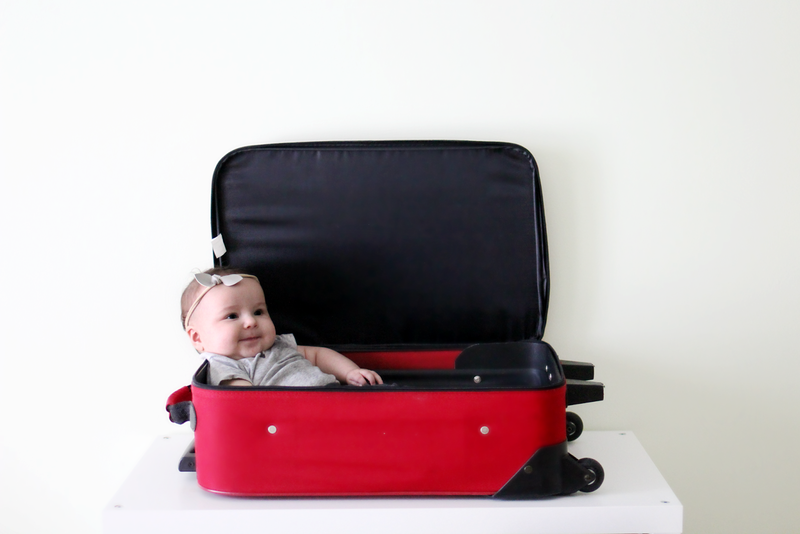 We learned in our first week home with Roselyn that our days would no longer be as organized as they were or go as planned, and staying flexible has made everyone's lives easier. 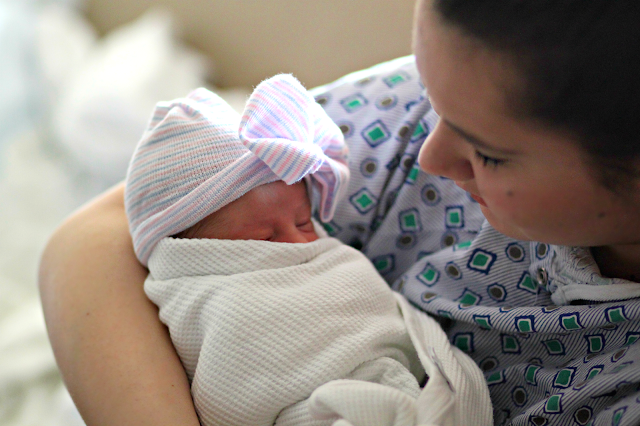 Going through birth and pregnancy was humbling, and motherhood has been no exception. Our daughter has completely changed how we view our happiness and success now, and we wouldn't have it any other way. In addition to caring for a baby, it's important to remember to nourish yourself as well. I came down with a sickness in the first three weeks of Roselyn's life after not focusing enough on my own health, and it was difficult to care for her and mend myself at the same time. Remember that caring for yourself also benefits your baby! Mama & Little nursing and teething necklaces, which currently aid the development of Roselyn's vision by allowing her to follow the necklace back and forth evenly and focus on patterns. We'll continue using the necklaces for nursing and teething in the coming months when she becomes more active! The Philips Avent Soothie pacifier, which comforts Roselyn when she's experiencing IUGR symptoms, and Swaddle Designs muslin swaddles, which she uses every night to rest and not startle herself while sleeping. What other strategies or products have you found helpful in your new life with a newborn? We'd love to hear your stories or tips in the comments below, or on my Facebook or Instagram. 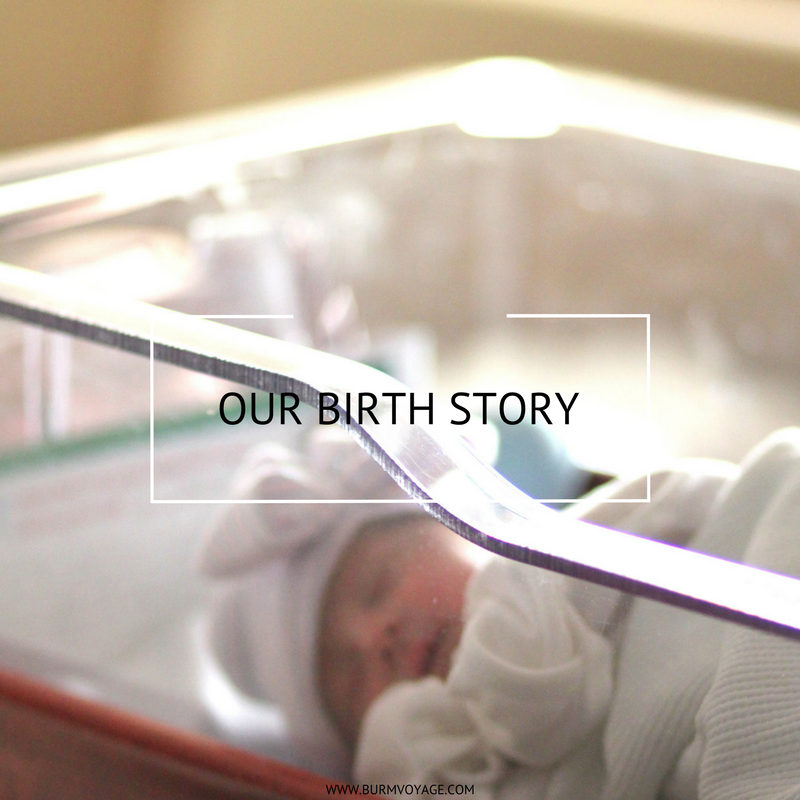 Our birth was nothing like I expected it to be – but it was the most challenging and rewarding experience of my life – so I wanted to document it here and share it with you today, while it's still fresh in my mind. Our journey began with infertility, but thankfully, after a year of medication and treatment, we found out that we were expecting and due in the spring of 2017. The next thing we knew, after what felt like both a minute and a lifetime had passed, spring had arrived and we were approaching labor. 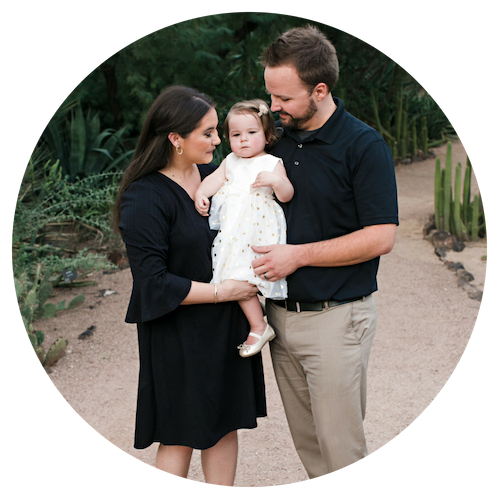 We had a high risk pregnancy due to several diagnoses – including intrauterine growth restriction (IUGR) – that had me on bed rest, in addition to daily appointments and check-ins during our last trimester. We knew this would affect our labor, but had no idea how March 22-23 would unfold. On March 15 – a week before our delivery – I had gone into prodromal labor, which meant that I would experience contractions every evening that would come three to five minutes apart and last for eight hours or more, just to stop suddenly and then repeat again the next evening. Our doctors informed us that this meant we could go into active labor at any point during the experience, but without any further developments, we were going to have to continue laboring each night until we progressed far enough to go to the hospital. 10 a.m. Prodromal labor painfully persisted every night for a week and left me emotionally and physically exhausted each time, so Ryan and I went into our doctor's appointment hoping for another sign that we would be admitted to the hospital soon. 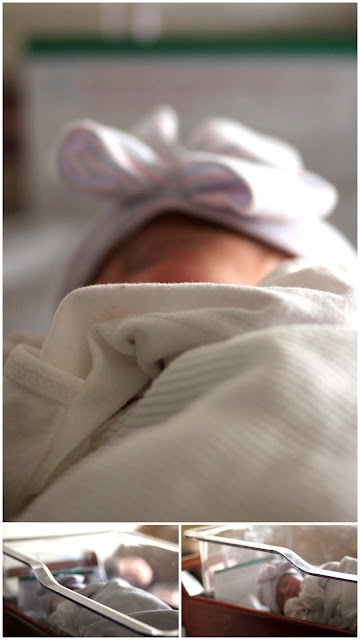 12 p.m. Our doctor's appointment confirmed that the prodromal labor we experienced had helped me progress far enough to head to the hospital that day – which we were initially happy about. Unfortunately, tests also showed that I had become increasingly preeclamptic that week, so I would need to be induced immediately upon arrival. 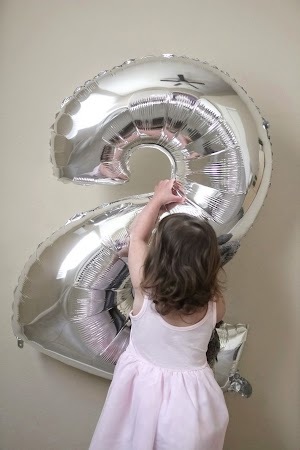 3 p.m. We grabbed our hospital bags, had one last meal together and drove to the hospital – in disbelief that our time had finally come, and that we would have our baby within the next 24 hours. We arrived at the hospital and I was immediately admitted to begin treatment in the form of magnesium for preeclampsia and pitocin to induce labor. 5 p.m. We were not responding to the initial treatment levels of either medicine, so my sweet nurse Sam apologetically explained that they'd be pushing me up to a higher dose of each throughout the evening, and that I'd likely start having reactions to the medicine soon. 7 p.m. - 11 p.m. I began experiencing the side effects of magnesium – which I believe was the worst part of our labor – and I was still not responding to treatment as quickly as we had hoped, so it was determined that our doctor would need to manually break my water to speed up our timeline. 12 a.m. Our doctor gave me the go ahead to request an epidural before he manually broke our water, and thankfully, the anesthesiologist was able to immediately accommodate our request. 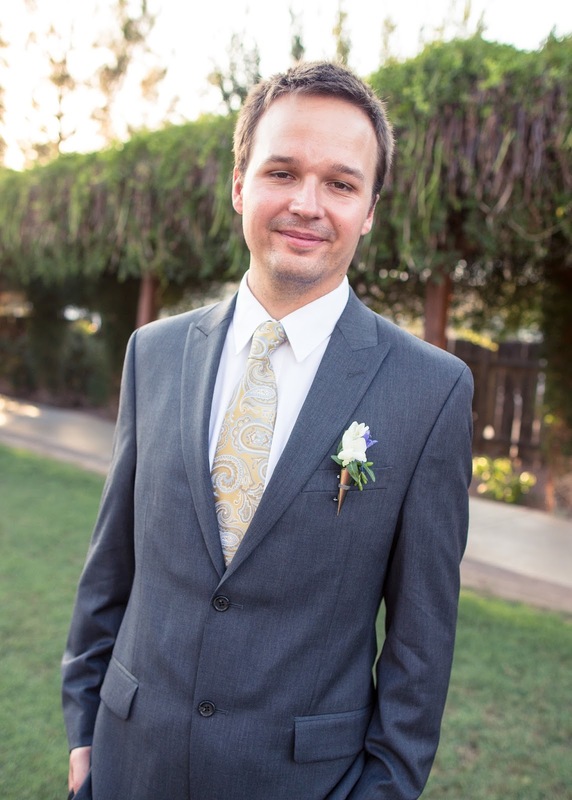 We had some difficulty getting it set because I was still actively contracting and getting ill from the magnesium – but we were successful, and I was able to receive the epidural and have my water broken soon thereafter. 2 a.m. - 8 a.m. The contractions began to increase with the help of another dose of pitocin after my water broke, and since I had already received my epidural and wasn't in pain, Ryan and I were able to have a few hours of sleep while waiting for me to progress further. 9 a.m. We woke up when our doctor came to check our progress once more, and he asked if I had begun to feel the urge to push, because we were "ready to go at a 10." 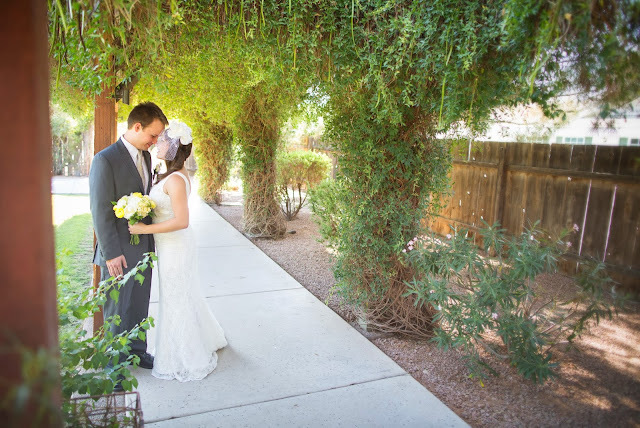 Our doctor then stated that he was beginning to feel the baby move further down at this point, and I replied that I was noticing some increasing discomfort and pressure, so we both agreed that now was indeed the time to "do this." 9:30 a.m. Our doctor felt that I would need some additional medical assistance before he allowed me to begin to push, due to the side effects I was experiencing from the magnesium. The medicine had made it difficult for me to breathe, given me blurred vision, drowsiness and weakness among other symptoms – so I was soon put on oxygen to help me through labor. 10 a.m. With the oxygen, I was now feeling strong enough to begin pushing through my contractions. We had our doctor and nurses, high-risk and NICU teams, and several resident doctors all assemble in our delivery room – but at that point, I didn't care how many people were in the room with us, I just wanted to have our daughter here healthy and safe at last. 11:01 a.m. One hour of pushing brought Roselyn to us, and I recall hearing her cry and Ryan gasp simultaneously. I remember being so relieved to hear her cry because I understood that it was a sign of her health despite our early delivery and IUGR diagnosis. The next thing that I remember is Ryan telling me she has a full head of hair and that she's perfect – to which I cried, laughed and replied "so that's what all the heartburn was for." Ryan then cut the cord and followed Roselyn over to the NICU team's table where she was evaluated and it was determined that she was, indeed, in perfect health. Our doctor then assisted me in birthing the placenta, and informed us in that moment that our IUGR complications were most likely due to a placental abruption – which made me feel slightly better that we could attribute the diagnosis to something, but mostly just ready to see our mighty, tiny girl who had persisted through it all. So, after she was cleared by NICU, I was able to soak up time with Roselyn on my chest and Ryan by my side. Roselyn listened and looked up at us with her beautiful, dark eyes as I spoke to her and told her how she was a miracle. 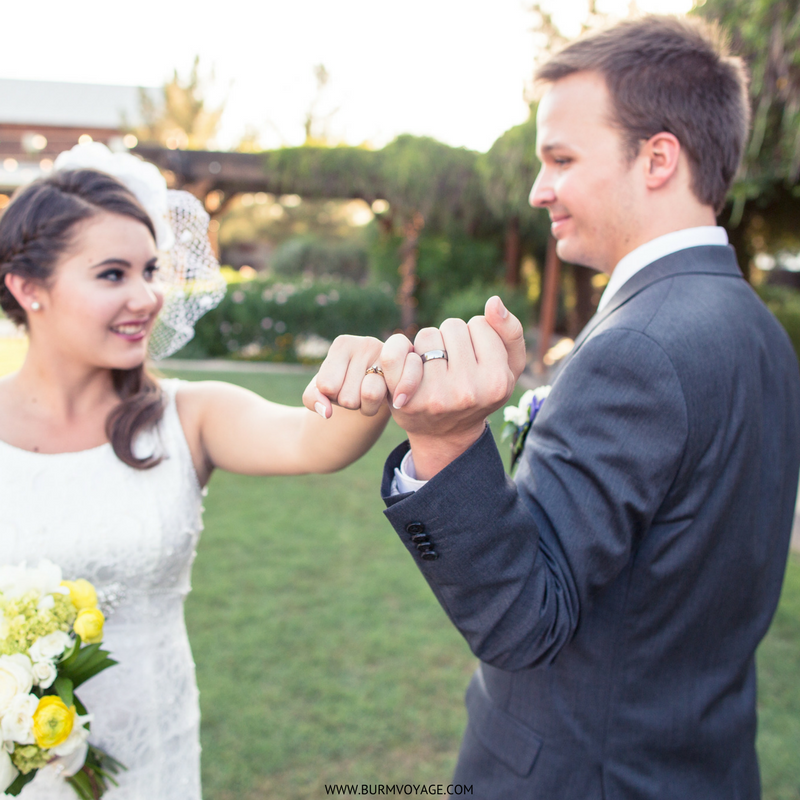 Time stopped as she looked between us and as we looked at each other – in disbelief that we could create something so perfect. We were officially a family of three, and there are no words to describe the overwhelming sense of joy and love that moment held. Ryan was officially a Dad and I a Mom, and our perfect daughter was happy, healthy and here with us. After months of anticipation, Ryan and I are happy to introduce the newest addition to our family: Roselyn [ROSE-uh-lyn] Josephine Burm. Rosie was born early on March 23, 2017, at 4 lbs. 14 oz. and 18.5" long – and is mighty like Dad and miniature like Mom. We are head over heels in love with her! Thank you all for following along with our journey to parenthood, and be sure to stay tuned for our birth story – coming as soon as I find time to stop indulging in her newborn scent and staring into her beautiful, miniature face. 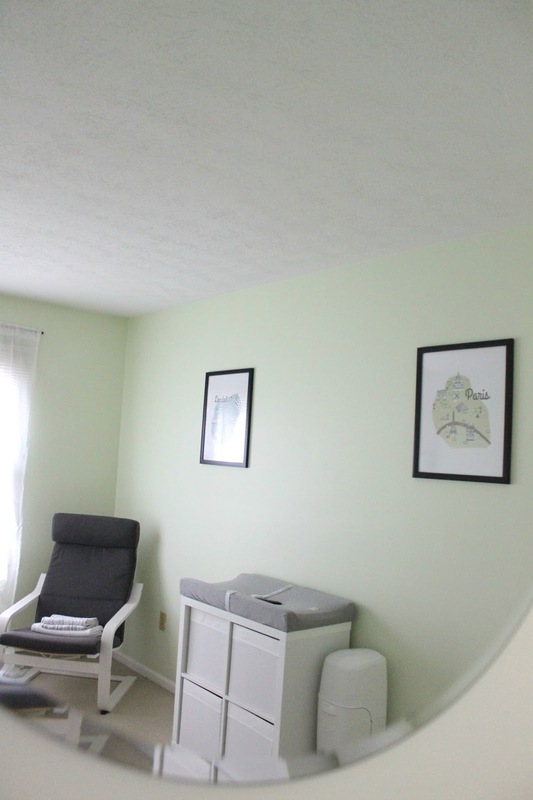 I've been designing Baby Burm's nursery on a design board since we found out that we were expecting, but didn't begin putting our baby girl's room together until the nesting phase hit me hard in the second trimester. Now that we're in the third trimester and have just six short weeks left until her due date, I am thrilled to share the finished result with you today! We decided to go with a neutral travel-inspired nursery theme filled with cream, grey and pastel colors that really fit our simplistic style. We also found that it was important for us to fill the room with clean and cozy textures, and couldn't have pulled it all together without the help of Swaddle Designs – a Seattle-based and woman-owned business – whose muslin swaddling blankets are now available at Target! We were first introduced to Swaddle Designs while looking for fun, multi-use baby blankets that could be used as nursing covers, play mats or stroller covers. We really loved that each 46x46 inch swaddling blanket came with instructions sewn to the edge for new parents like us, and feel secure knowing that the design was perfected by CEO, RN – and mother of two – Lynette Damir, of Seattle. We own Swaddle Designs' sterling "Touch of Shimmer" collection – featured here – and are counting down the days until we can wrap our baby girl up in her nursery now! You can view the "Touch of Shimmer" collection at Target and receive a free bandana bib with purchase here. 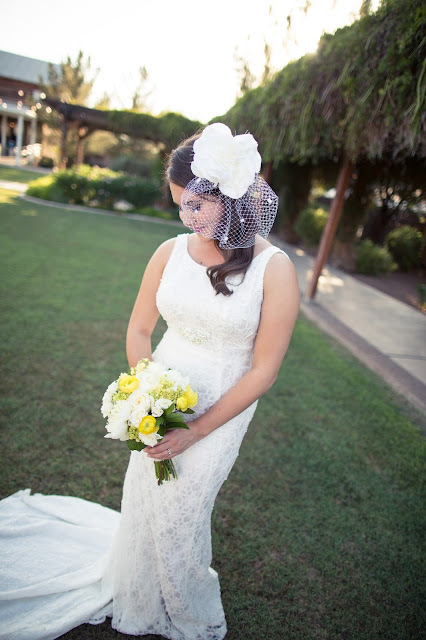 Blog shared in partnership with Swaddle Designs. Product choices and opinions are my own.